John Mayer is one of the top guitarist and recording artists in the world today. 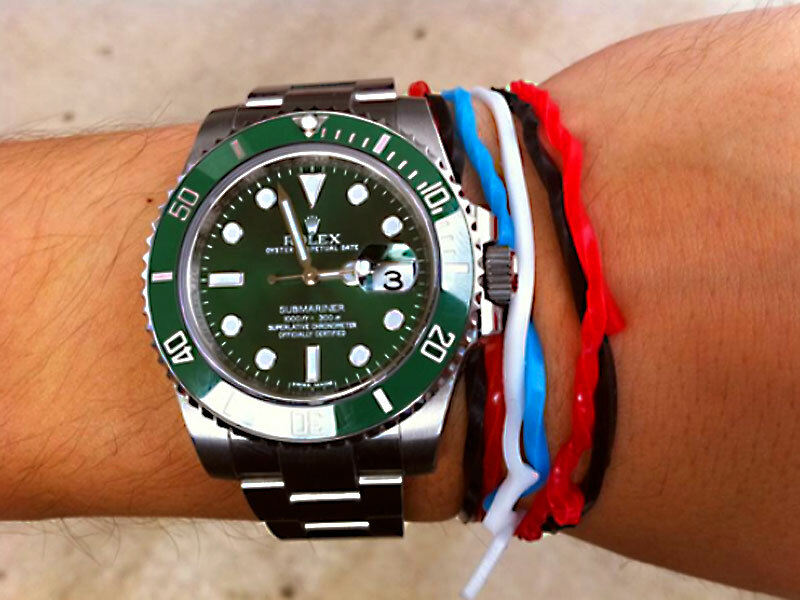 On his blog he recently showed off his new Supercase Ceramic LV Submariner. "Look what I just got...No, not the brand new Rolex green dial/green bezel Submariner, ya goof. JM silly bandz! Available beginning tonight. One of these are worth at least a half dozen dolphins or bunnies."